Figure 10-12.--Tool and cutter grinder (workhead and footstock). 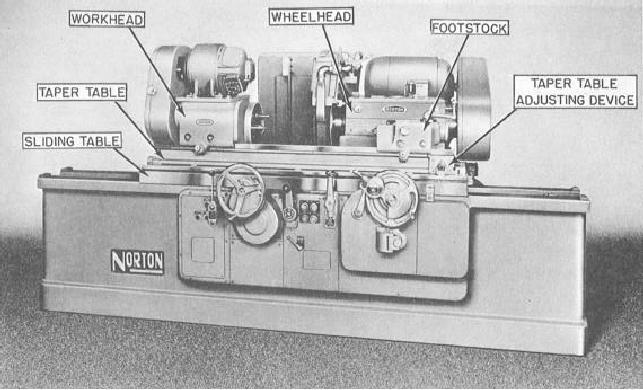 Figure 10-11.--Cylindrical grinder (with workhead and footstock mounted). top of the taper table. grinder are similar to the methods used to set up lathes. applicable) to support long work or overhanging ends. drive motors or step pulleys for this purpose. use steady rests for any necessary support. to mount long workpieces for cylindrical grinding. to set the work to grind relatively large taper angles. 2. Clamp a driving dog onto the workpiece. distance to grind the surface.